In its recently adopted resolution—”The List of Religious Holidays Permitting Student Absence from School”—New Jersey State Board of Education (NJSBE) listed 19 Hindu festivals. It included four festivals in October itself, including Navaratri, which alone is listed for ten days. Goverdhan Puja, Makar Sankranti, Pongal, Vasant Panchami, Maha Shivaratri, Holi, Chandramana Yugadi, Souramana Yugadi, Ramnavami and Hanuman Jayanti. Universal Society of Hinduism urged the Board in the past to include five festivals on the list, which are included in this list. Distinguished Hindu statesman Rajan Zed, who is President of Universal Society of Hinduism, in a statement in Nevada today, calling the “List” a step in the positive direction, thanked NJSBE and its President Mark W. Biedron for being inclusive. Rajan Zed had said that Hinduism was rich in festivals and festivals were very dear to Hindu families. Since families wanted to celebrate these festivals together along with their school going children, we did not want our children to be deprived of any privileges at the school because of thus resulting absences on these days. According to the NJSBE resolution: “Any student absent from school because of a religious holiday may not be deprived of any award or of eligibility or opportunity to compete for any award because of such absence”, “Students who miss a test or examination because of absence on a religious holiday must be given the right to take an alternate test or examination”, “Boards of education, at their discretion, may add other days to the list for the schools of their districts”, and “Any absence because of a religious holiday must be recorded…as an excused absence”. 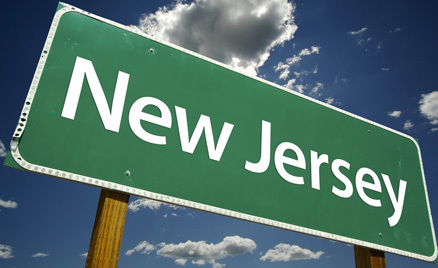 The NJSBE, which meets monthly in Trenton, “adopts the administrative code, which sets the rules needed to implement state education law. Such rules cover the supervision and governance of the state’s 2,500 public schools, which serve 1.38 million students”. Joseph Fisicaro and Diane Shoener are Vice President and Director respectively of NJSBE; David C. Hespe is Commissioner of New Jersey Department of Education; and Chris Christie is the New Jersey Governor.